eCall is a European initiative that intends to bring rapid assistance to motorists involved in a collision anywhere in the European Union. eCall is a European initiative that intends to bring rapid assistance to motorists involved in a collision anywhere in the European Union. 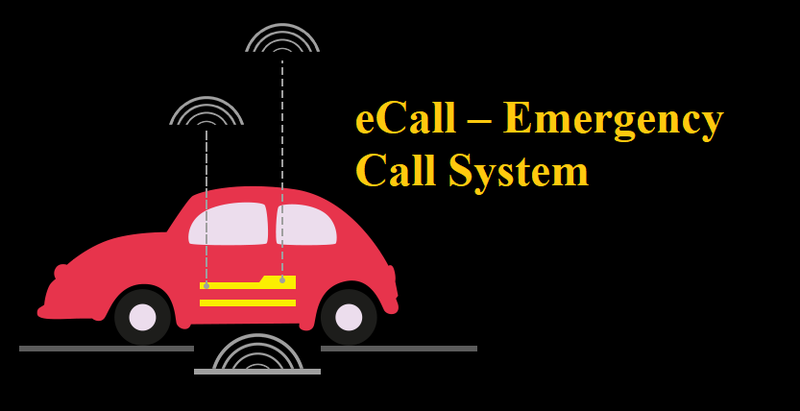 The eCall initiative aims to deploy a device installed in all vehicles that will automatically dial 112 in the event of a serious road accident, and wirelessly send airbag deployment and impact sensor information, as well as GPS coordinates to local emergency agencies. Even if no passenger is able to speak, e.g. due to injuries, a ‘Minimum Set of Data’ is sent, which includes the exact location of the crash site. Shortly after the accident, emergency services therefore know that there has been an accident, and where exactly. ● High Reliability and Sensitivity To ensure Minimum Set Data can be timely and reliably sent to the PASP from the IVS after strong collision, high reliability and sensitivity of the products are of prime importance in addition to supporting backup battery. ● Remotely Upgrade Firmware The firmware in the products can be updated remotely via FOTA function, which can dramatically reduce maintenance cost. ● Compact Form Factor The products with tiny size can be easily embedded in the automotive applications.